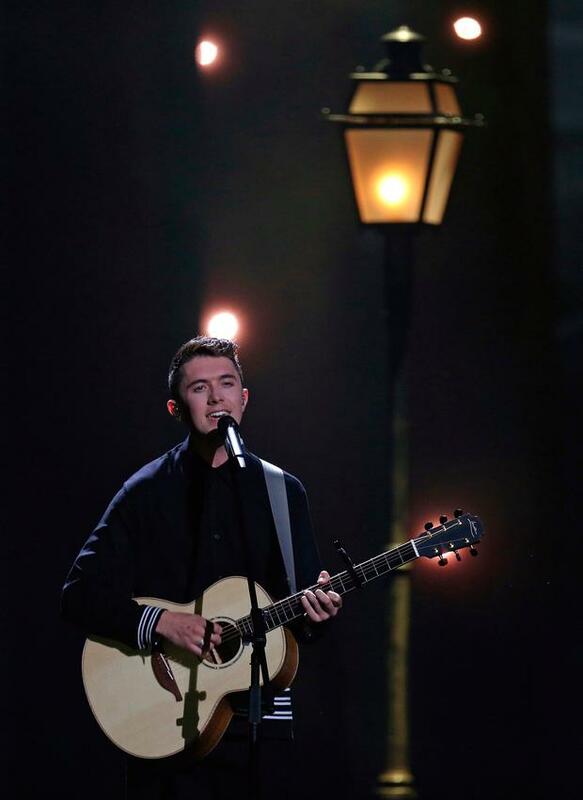 Ireland made a triumphant return to Eurovision this year, with Ryan O’Shaughnessy earning a spot for Ireland in the final for the first time in seven years thanks to his performance of the ballad Together. Our final placing was a very respectable 16th having garnered 136 points from both the jury and public votes – our best performance in seven years. RTE has revealed that they spent more than €300,000 on sending Ryan and the delegation members to Portugal from April 29, the day before official Eurovision rehearsals began, to May 13, the day after the final. A total of 18 people travelled as part of the team including Ryan plus five backing vocalists/dancers, Head of Delegation (Executive Producer), Broadcast Co-ordinator, Head of Press and Publicity, commentator, stylist, Ryan’s manager, vocal coach, two songwriters, photographer, choreographer and sound engineer. Some of the delegation were there for the entire duration, but others including commentator Marty Whelan, Head of Press, photographer and Broadcast Co-ordinator arrived later as their roles were required. The exact minimum spend was approximately €304,088. This was down from €331,482 (a saving of €27,394) which was spent sending the delegation of 16 to Ukraine in 2017. A large chunk of the spend was a fee of €83,861 which RTE was required to pay to the European Broadcasting Union for ‘active participation in the contest’. “The fee for active participation includes RTÉ’s contribution to the substantial costs incurred by the host broadcaster in staging the contest and the fee for entry,” said RTE in a statement. A figure of €220,227 was spent on costs including artist and designer fees, staging including full dress rehearsals, graphics production, props, pyrotechnics, costumes, choreography, postcard filming, photography, attendance at pre-Eurovision promotional events and song recording and production among other elements. Following a Freedom of Information request from The Irish Sun, a further breakdown of some of those costs were revealed to be as follows: Production costs (design, set pieces, lighting props and pyrotechnics) of €27,190; accommodation cost €42,355 (the delegation must stay in officially designated hotels); economy flights came to €8,483 while airport parking and taxis cost €663. A ‘representation’ bill was €1,594 and food and subsistence cost €13,632. RTE did not reveal the fees paid to the artists, who are independent contractors, as they deem this information ‘commercially sensitive’. An average of 416,000 viewers tuned in over the three nights while the cumulative reach across the three nights was 1.89 million. Michael Kealy, Head of Delegation, said “We are very proud of the Irish performance this year, months of work went into planning our Eurovision act, bringing together the various audio and visual elements, from choreography to lighting design and music production. “We are always very conscious of getting the best value for the money we spend, while also endeavouring to produce a world class act which will represent Ireland on the Eurovision stage to an audience of nearly 200 million people. Aoife Kelly Mike & The Mechanics have just announced a 2019 Looking Back Over My Shoulder tour with a Dublin date. Aoife Kelly Coolio, of ‘Gansta’s Paradise’ fame is coming to Ireland for five very intimate shows. Aoife Kelly Could the long longed-for Oasis reunion finally be nigh? Fans are hoping so after Liam asked Noel to reform the band.